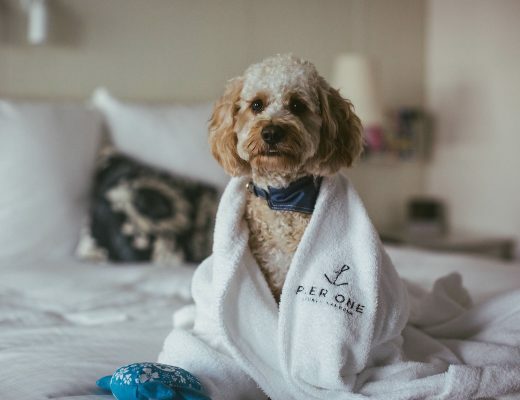 Often when people think of dog-friendly hotels, there’s a focus on hotels that offer special services for dogs, ranging from beds and bowls through to a dog room-service menu and dog walking. 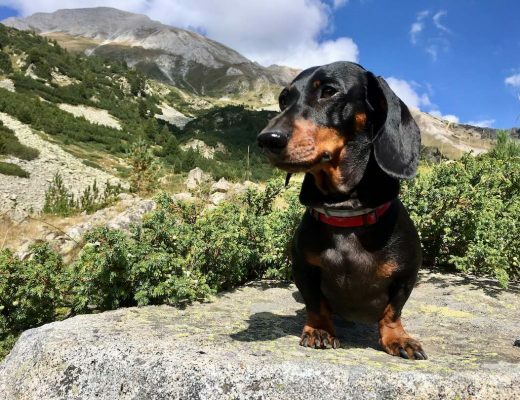 However, such services often come with a large fee, and in my mind, the most dog-friendly hotels are the ones that allow your dog to stay for free, with no extra charges! 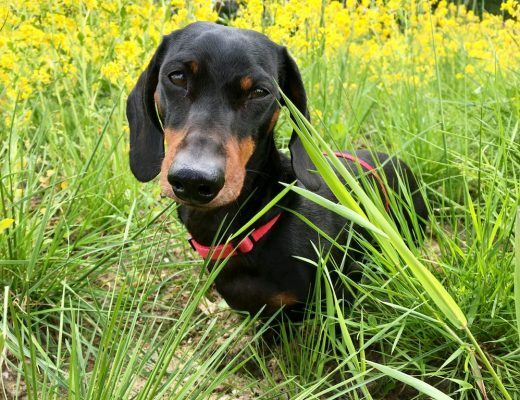 In particular, when staying at cheaper hotels, paying extra for your dog can significantly bump up the cost of your stay (with charges around $15 USD for a $50 USD hotel room not uncommon in the USA). Luckily then, three of the most affordable and common hotel chains in the USA allow dogs to stay for free. 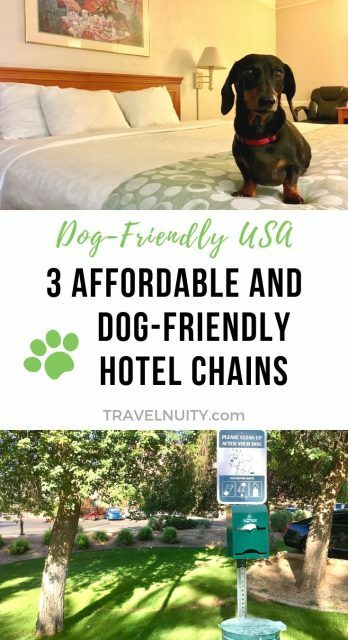 So if you’re looking for an affordable pet-friendly hotel chain in the USA with no fees, check out these three options. 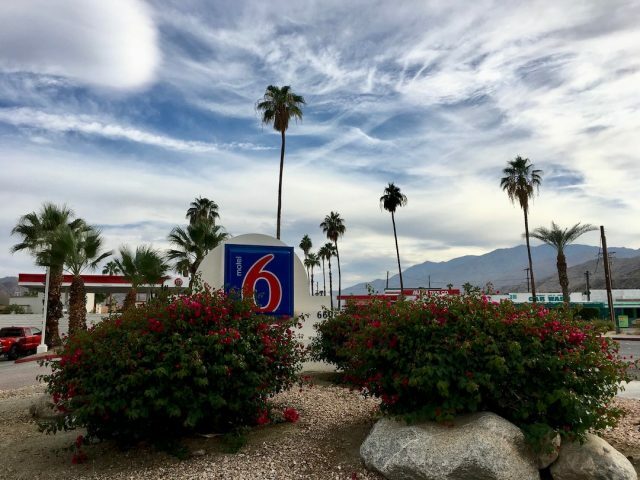 Motel 6 is a budget motel chain with over 1400 locations across the USA and Canada. Its aim is to provide “clean, comfortable rooms at the lowest price of any national chain.” For people from outside of the USA like myself, I find it similar to the Ibis chain in Europe, particularly since its refurbishment program than wrapped up in late 2017. It brought wood-effect floors to all rooms and a selection of either orange, turquoise or lime green accent walls. Nearly all Motel 6s allow pets, as long as they are “well-behaved”. 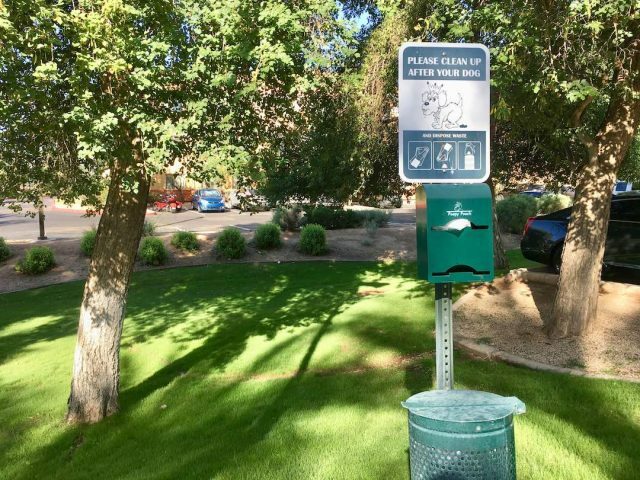 It is noted on the online pet policy that some state and local municipalities may forbid pets except for service animals, but I didn’t come across any such location. Just double check! Motel 6 locations have a maximum of two pets per room, but no limit on size. When checking in, naturally let the staff know that you have a pet. You’ll probably receive a paper copy of their pet policy, or else ask. Some extra rules include that pets shouldn’t stay in rooms unattended, although they do note that if this must occur due to unavoidable circumstances, rooms will not be serviced with unrestrained pets. 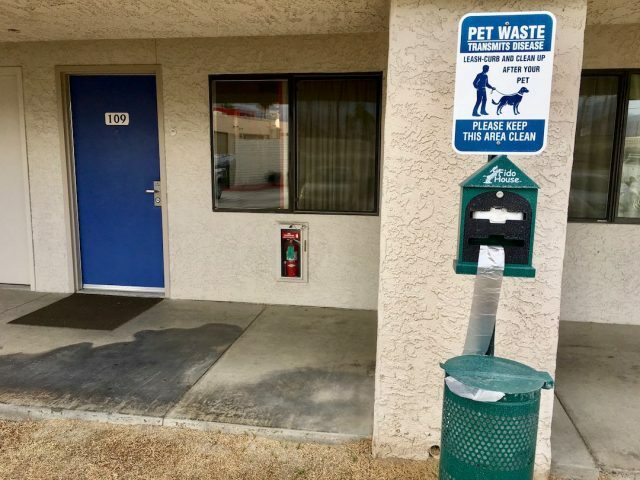 Some Motel 6s include a pet relief area, with poop bags, but not all. And pets always stay free, except for at the related Studio 6 locations, where there is a $10 per day fee. Click here for the full pet policy. 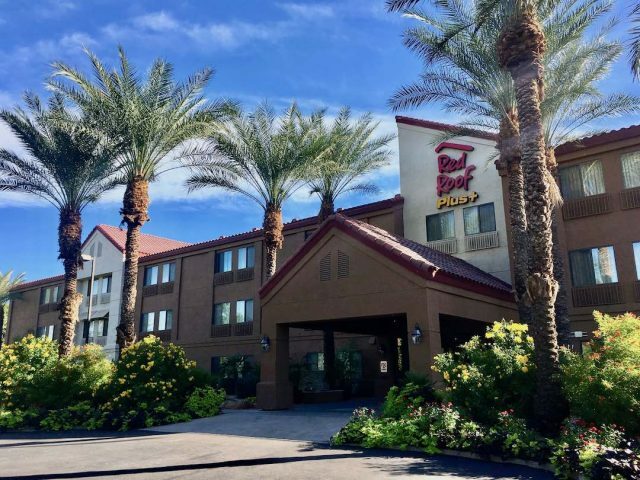 Red Roof hotels are another dog-friendly affordable hotel chain in the USA. The hotels are a step up from the Motel 6 chain, particularly in furnishings. 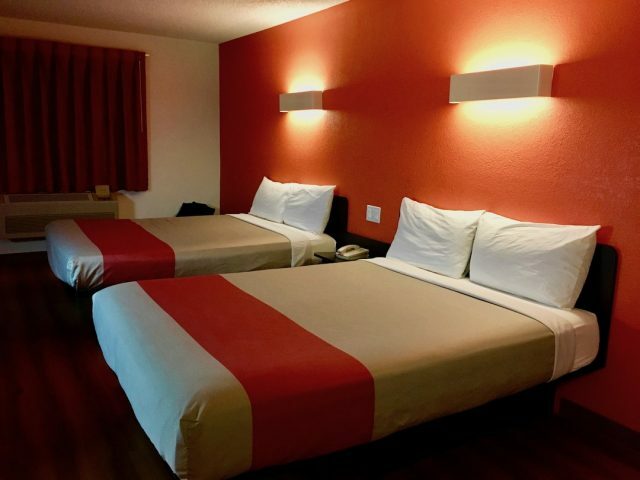 There are two levels to the chain: the original Red Roof Inn and the higher quality Red Roof Plus+. Although I couldn’t detect many discernible differences between the three different locations (one Inn and two Pluses) that I stayed at. Compared to Motel 6, Red Roof Inns have hair dryers, shampoo, a packet of disposable tissues and coffee- and tea-making facilities in rooms. 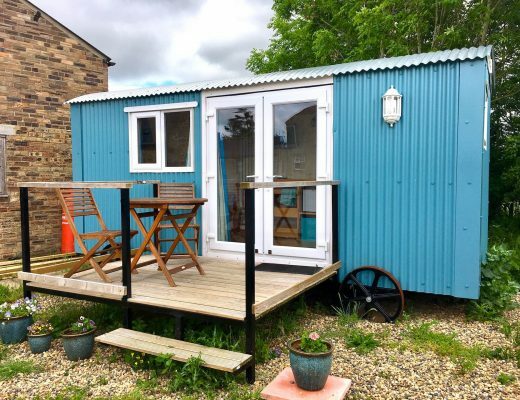 Most locations also offer a selection between rooms with and without fridges and microwaves, for an extra fee of course. 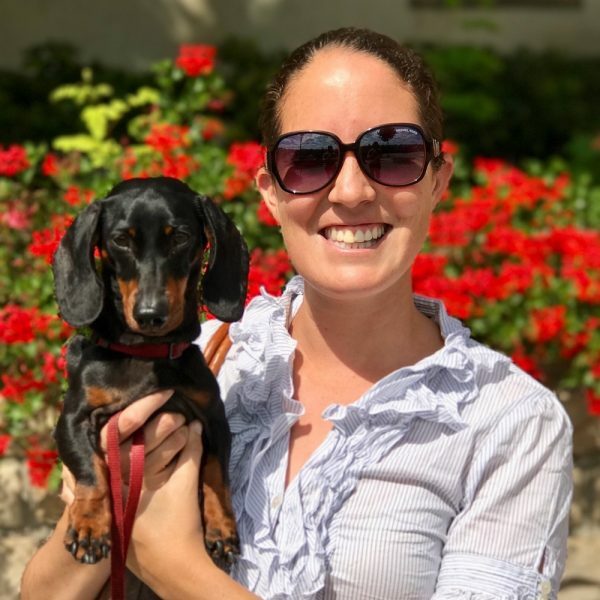 The majority of Red Roof locations allow pets, with just two locations in Washington, D.C. and Philadelphia mentioned on their pet information page as not allowing pets. Naturally double-check the details listed for the hotel before booking, and always check-in at the front desk. Just like Motel 6, pets always stay free at Red Roof. However, the pet policy isn’t quite as generous. Usually only one pet is allowed pet room, unless you get permission off the manager. There’s also a weight restriction of 80 pounds (36kg). Pets are also not allowed to be left unattended in a room, except in an emergency. Additionally, if your pet causes any damage, you will be charged. Some but not all of the Red Roof hotels have a designated pet relief area. 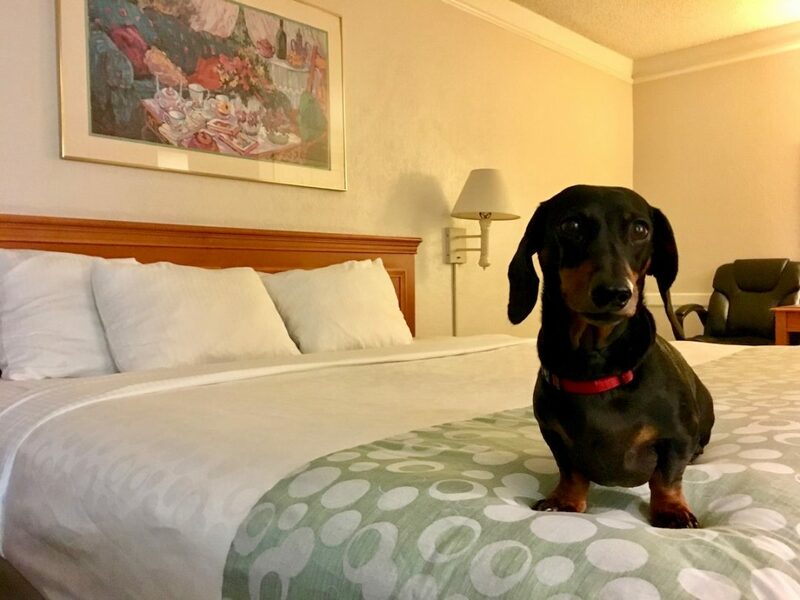 Note: From January 2019, the La Quinta policy has changed and some locations may charge a pet fee ($20 per night, up to $40 per stay). There is no central listing for which locations this applies to. 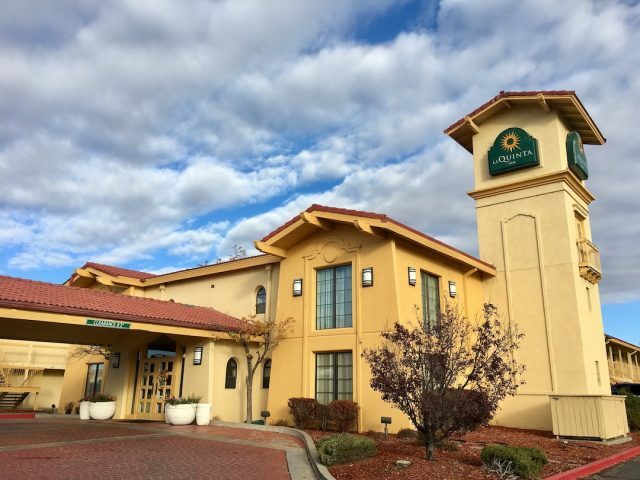 The third affordable hotel chain that I stayed at around the USA with my pet was La Quinta. While still an affordable option, prices are usually higher than both Motel 6 and Red Roof. 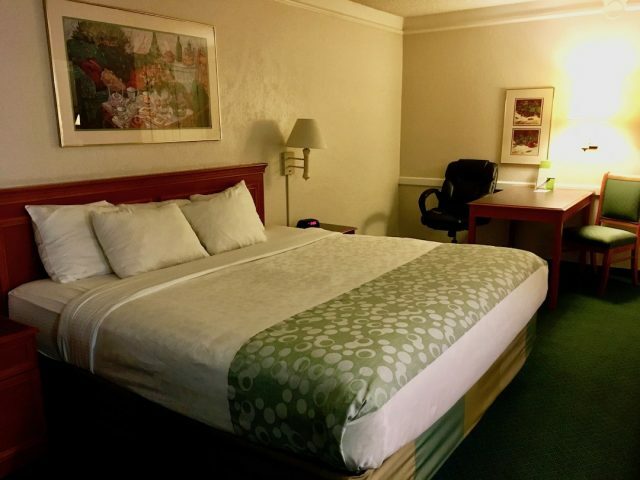 (Although a Motel 6 on the city outskirts might be cheaper than a more central Motel 6, such as we found in San Francisco.) In return, you get more inclusions. In particular, breakfast is included each morning. At one La Quinta hot options (scrambled eggs and sausages) were included, while more often it’s a mixture of cold options plus a waffle making station. A fridge and microwave in your room is more often included, plus multiple toiletries. 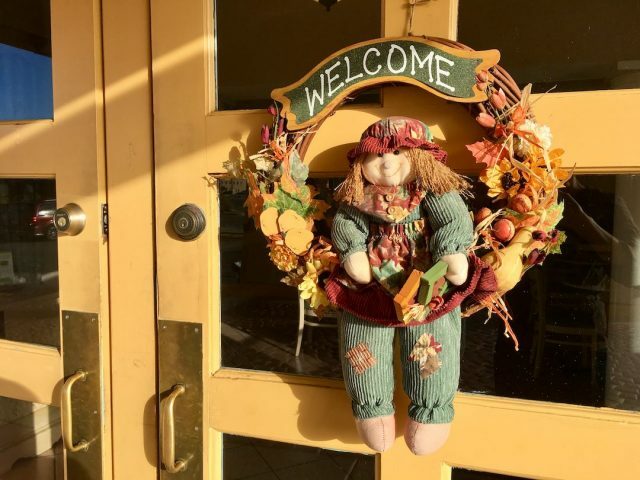 Most but not all La Quinta locations allow pets. On their pet policy page, there are nine La Quinta Inns and Suites locations in the USA listed that don’t allow pets. For instance, all La Quinta locations in Manhattan don’t allow pets, plus all three locations in Brooklyn currently allow pets. 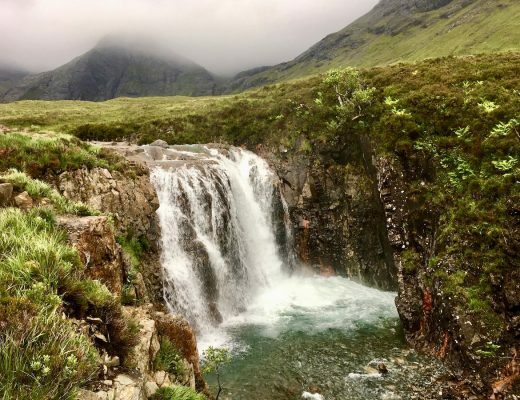 Check this short list or double-check before booking. 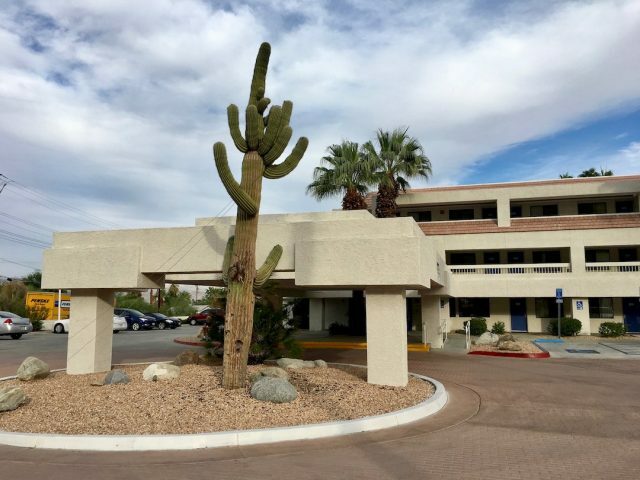 Similar to Motel 6, two pets are allowed in a La Quinta room, with no restriction on size. When checking in, let the staff know you have a pet, and you’ll need to sign a Pet Policy Agreement. In contrast to Motel 6 and Red Roof, pets are allowed to remain behind in your room, as long as they are well-behaved. I made use of this each morning when having breakfast, as naturally pets aren’t allowed in the breakfast area, but this would also come in handy if you’re heading to a museum or out to a show. If this is the case, make arrangements with house keeping. Inspired? Pin this to your Pinterest board!